You absolutely don't want to miss this Sunday, November 4! Andy is going to wrap up the provocative "Verdict" series, and we'll worship with Steve Fee. I first met Steve almost seven years ago, before I'd even heard of North Point. 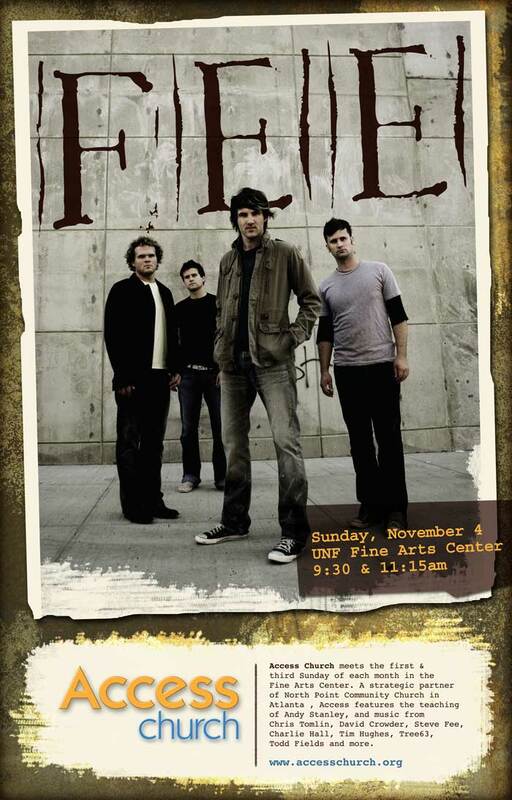 I was a pastor to high school students at the time, and we invited Steve and his band ("Exit 10") to come and lead worship for a winter retreat in upstate New York. We had a great time that weekend, and he immediately became one of my favorite guys with whom to worship. Oh, and he's a good sport on the slopes, too—even when one of our high school students plowed into him and gave him a concussion! Fast-forward a few gray hairs, and Steve is now one of the most sought-after worship leaders in the world. He continues to write incredible stuff, and leads with incredible passion and intensity.